All items on this menu are subject to substitution or modification. The Jam Handy, now one of Detroit’s most unique event venues, was originally the headquarters and film studio of the Jam Handy Organization, that once had an extensive presence in multiple buildings along E. Grand Boulevard. Founded in 1932 by Henry Jamison “Jam” Handy, an Olympic medal winning swimmer, the Jam Handy Organization was probably best known for producing the first animated version of the new Christmas story Rudolph the Red-Nosed Reindeer directed by Max Fleischer. As its core business, Jam Handy produced an astounding over 25,000 instructional films (many for the automotive industry and over 7,000 for the US Armed Forces during World War II). The Jam Handy Organization ultimately ceased operations in the early 1970’s. Our first introduction to Kat Beal and the Kat Beal Band was when she was referred by another local artist to be one of three bands performng at the Great Lakes VegBash last August in Ann Arbor. Our team was immediately starstruck by her soulful, flawless vocals. Her performance received much acclaim at this event. Little did we know at the time what a rising star she was not only locally but on the national music front. Her music, that combines both elements of rock and roll and country, is adored by her fans. Kat is expected to make a major career announcement in her appearance at this event. For those of you that are not familar with the Kat Beal Band, we have included some of her music below. Are you interested in getting a group together to car pool to A Very Vegan New Years Eve Celebration? 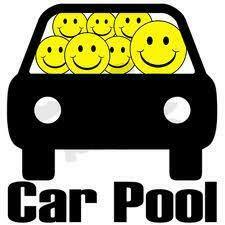 We have set up an online site to collect details of those individuals who are interested in car pooling to this event. If possible, we will connect you with other individuals who are interested in this option. Please click on the button below to provide us with some basic contact information and we will get in touch with you as soon as we have some possible matches. 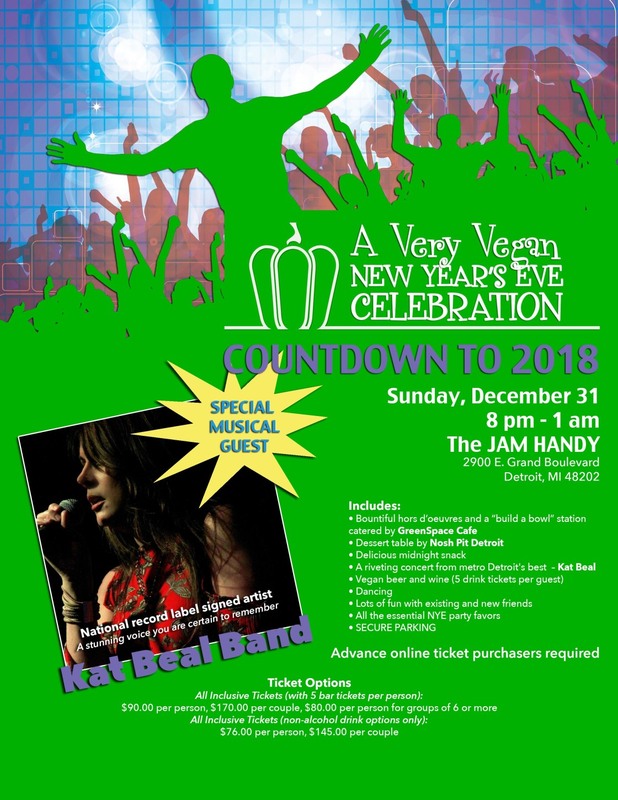 A Very Vegan New Years Eve Celebration is an exciting production of The Quintessential Event Company. Questions? Call toll free (888) 504-8103.